Gastroesophageal reflux disease or simply GERD is the excessive backflow of gastric or duodenal contents, or both into the esophagus and past the lower esophageal sphincter (LES) for a sustained length of time without associated belching or vomiting. 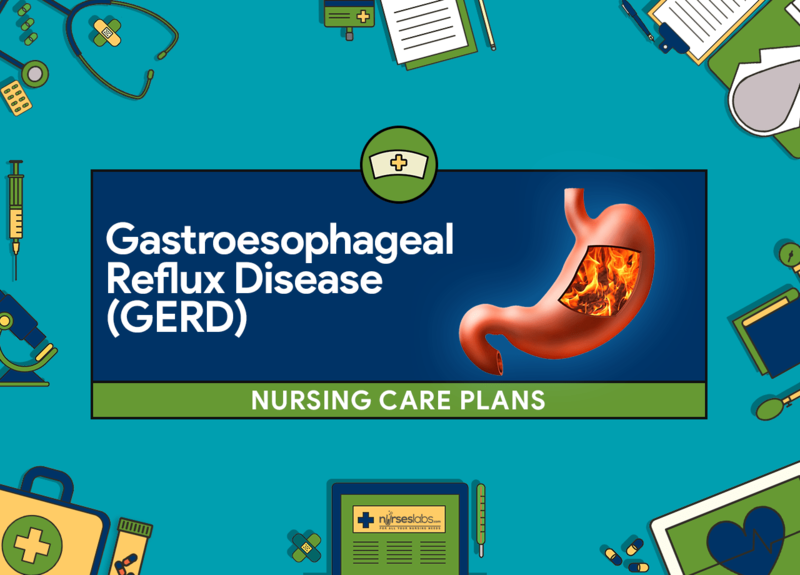 Nursing care planning goals of gastroesophageal reflux disease (GERD) involves teaching the patient to avoid situations that decrease lower esophageal sphincter pressure or cause esophageal irritation. Imbalanced Nutrition: Less Than Body Requirements: The state in which an individual who is not on NPO, experiences or is at risk for inadequate intake or metabolism of nutrients for metabolic needs with or without weight loss. Accurately measure the patient’s weight and height. For baseline data. Obtain a nutritional history. Determining the feeding habits of the client can provide a basis for establishing a nutritional plan. Encourage small frequent meals of high calories and high protein foods. Small and frequent meals are easier to digest. Instruct to remain in upright position at least 2 hours after meals; avoiding eating 3 hours before bedtime. Helps control reflux and causes less irritation from reflux action into esophagus. Instruct patient to eat slowly and masticate foods well. Helps prevent reflux. Upper gastrointestinal endoscopy Used to identify the type and extent of tissue damage. Esophageal pH monitoring Used to document pathologic acid reflux, especially for patients who have atypical symptoms. Updated as of August 2018.